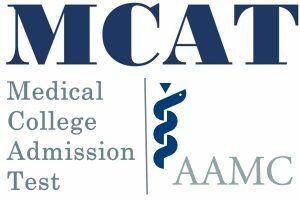 Long awaited dates for MCAT Sindh are finally announced for 2018-19 session. Students who want to take admission in medical collages of Sindh they have to apply through MCAT Sindh. Students can start registrations from 28th September 2018 till 9th October 2018. Test will be held on 28th Oct 2018. This entry was posted in Sindh Medical MCAT and tagged Balochistan MCAT MCQs, Best way to prepare for UHS MCAT, Biology MCQs for Dow University of Health Sciences, Biology MCQs for DUHS, Biology MCQs for GMC, Biology MCQs for Gombat Medical College, Biology MCQs for Jinnah Sindh Medical University, Biology MCQs for JSMU, Biology MCQs for Karachi Medical College, Biology MCQs for Khairpur Medical College, Biology MCQs for KMC, Biology MCQs for Liaquat University of Medical & health Sciences, Biology MCQs for LUMHS, Biology MCQs for People university of Medical and Health Sciences for Women, Biology MCQs for PUMHSW, Biology MCQs for Shaheed Mohtarma Benazir Bhutto Medical University, Biology MCQs for Sindh MCAT, Biology MCQs for Sindh MCAT Test, Biology MCQs for SMBBMU, Chemistry MCQs for Dow University of Health Sciences, Chemistry MCQs for DUHS, Chemistry MCQs for GMC, Chemistry MCQs for Gombat Medical College, Chemistry MCQs for Jinnah Sindh Medical University, Chemistry MCQs for JSMU, Chemistry MCQs for Karachi Medical College, Chemistry MCQs for Khairpur Medical College, Chemistry MCQs for KMC, Chemistry MCQs for Liaquat University of Medical & health Sciences, Chemistry MCQs for LUMHS, Chemistry MCQs for People university of Medical and Health Sciences for Women, Chemistry MCQs for PUMHSW, Chemistry MCQs for Shaheed Mohtarma Benazir Bhutto Medical University, Chemistry MCQs for Sindh MCAT, Chemistry MCQs for Sindh MCAT Test, Chemistry MCQs for SMBBMU, Dow University of Health Sciences (DUHS), Dow University of Health Sciences (DUHS) admission, Dow University of Health Sciences (DUHS) admission 2018, Dow University of Health Sciences (DUHS) admission date, Dow University of Health Sciences (DUHS) admission date 2018, Dow University of Health Sciences (DUHS) admission dates, Dow University of Health Sciences (DUHS) admission dates 2018, Dow University of Health Sciences (DUHS) admissions, Dow University of Health Sciences (DUHS) admissions 2018, Dow University of Health Sciences (DUHS) admissions date, Dow University of Health Sciences (DUHS) admissions date 2018, Dow University of Health Sciences (DUHS) admissions dates, Dow University of Health Sciences (DUHS) admissions dates 2018, Dow University of Health Sciences (DUHS) past paper, Dow University of Health Sciences (DUHS) Past papers, Dow University of Health Sciences (DUHS) Registration, Dow University of Health Sciences (DUHS) Registration 2018, Dow University of Health Sciences (DUHS) Registration date, Dow University of Health Sciences (DUHS) Registration date 2018, Dow University of Health Sciences (DUHS) Registration dates, Dow University of Health Sciences (DUHS) Registration dates 2018, Dow University of Health Sciences (DUHS) Test, Dow University of Health Sciences (DUHS) Test 2018, Dow University of Health Sciences (DUHS) Test date, Dow University of Health Sciences (DUHS) Test date 2018, Dow University of Health Sciences (DUHS) Test dates, Dow University of Health Sciences (DUHS) Test dates 2018, Dow University of Health Sciences (DUHS) Test pattern, DUHS, DUHS Admission, DUHS admission 2018, DUHS admission date, DUHS admission date 2018, DUHS admission dates, DUHS admission dates 2018, DUHS Admissions, DUHS admissions 2018, DUHS admissions date, DUHS admissions date 2018, DUHS admissions dates, DUHS admissions dates 2018, DUHS past paper, DUHS Past papers, DUHS registration, DUHS Registration 2018, DUHS registration date, DUHS registration date 2018, DUHS registration dates, DUHS Registration dates 2018, DUHS Test, DUHS Test 2018, DUHS Test date, DUHS Test date 2018, DUHS Test dates, DUHS Test dates 2018, DUHS Test pattern, etea mcat, GMC, GMC admission, GMC admission 2018, GMC admission date, GMC admission date 2018, GMC admission dates, GMC admission dates 2018, GMC admissions, GMC admissions 2018, GMC admissions date, GMC admissions date 2018, GMC admissions dates, GMC admissions dates 2018, GMC past paper, GMC Past papers, GMC Registration, GMC Registration 2018, GMC Registration date, GMC Registration date 2018, GMC Registration dates, GMC Registration dates 2018, GMC Test, GMC Test 2018, GMC Test date, GMC Test date 2018, GMC Test dates, GMC Test dates 2018, GMC Test pattern, Gombat Medical College (GMC), Gombat Medical College (GMC) admission, Gombat Medical College (GMC) admission 2018, Gombat Medical College (GMC) admission date, Gombat Medical College (GMC) admission date 2018, Gombat Medical College (GMC) admission dates, Gombat Medical College (GMC) admission dates 2018, Gombat Medical College (GMC) admissions, Gombat Medical College (GMC) admissions 2018, Gombat Medical College (GMC) admissions date, Gombat Medical College (GMC) admissions date 2018, Gombat Medical College (GMC) admissions dates, Gombat Medical College (GMC) admissions dates 2018, Gombat Medical College (GMC) past paper, Gombat Medical College (GMC) Past papers, Gombat Medical College (GMC) Registration, Gombat Medical College (GMC) Registration 2018, Gombat Medical College (GMC) Registration date, Gombat Medical College (GMC) Registration date 2018, Gombat Medical College (GMC) Registration dates, Gombat Medical College (GMC) Registration dates 2018, Gombat Medical College (GMC) Test, Gombat Medical College (GMC) Test 2018, Gombat Medical College (GMC) Test date, Gombat Medical College (GMC) Test date 2018, Gombat Medical College (GMC) Test dates, Gombat Medical College (GMC) Test dates 2018, Gombat Medical College (GMC) Test pattern, How many MCQs in Sindh MCAT, How to apply for Dow University of Health Sciences (DUHS) Karachi, How to apply for Gombat Medical College (Pir Abdul Qadir Shah Jeelani Institute of Medical Sciences Gombat), How to apply for Jinnah Sindh Medical University (JSMU) Karachi, How to apply for Karachi Medical College Karachi, How to apply for Khairpur Medical College, How to apply for Liaquat University of Medical & health Sciences (LUMHS) Jamshoro, How to apply for People university of Medical and Health Sciences for Women (PUMHSW), How to apply for Shaheed Benazirabad, How to apply for Shaheed Mohtarma Benazir Bhutto Medical College (SMBBMC) Lyari, How to apply for Sindh MCAT, How to fill online application for Dow University of Health Sciences (DUHS) Karachi, How to fill online application for Gombat Medical College (Pir Abdul Qadir Shah Jeelani Institute of Medical Sciences Gombat), How to fill online application for Jinnah Sindh Medical University (JSMU) Karachi, How to fill online application for Karachi Medical College Karachi, How to fill online application for Khairpur Medical College, How to fill online application for Liaquat University of Medical & health Sciences (LUMHS) Jamshoro, How to fill online application for People university of Medical and Health Sciences for Women (PUMHSW) Shaheed Benazirabad, How to fill online application for Shaheed Mohtarma Benazir Bhutto Medical College (SMBBMC) Lyari, How to fill online application for Sindh MCAT, How to fill online application form for Dow University of Health Sciences (DUHS) Karachi, How to fill online application form for Gombat Medical College (Pir Abdul Qadir Shah Jeelani Institute of Medical Sciences Gombat), How to fill online application form for Jinnah Sindh Medical University (JSMU) Karachi, How to fill online application form for Karachi Medical College Karachi, How to fill online application form for Liaquat University of Medical & health Sciences (LUMHS) Jamshoro, How to fill online application form for People university of Medical and Health Sciences for Women (PUMHSW) Shaheed Benazirabad, How to fill online application form for Shaheed Mohtarma Benazir Bhutto Medical College (SMBBMC) Lyari, How to fill online application form for Sindh MCAT, How to fill online application form Shaheed Mohtarma Benazir Bhutto Medical University (SMBBMU) Larkana, How to fill online application Shaheed Mohtarma Benazir Bhutto Medical University (SMBBMU) Larkana, How to Prepare for Sindh MCAT, how to prepare mcat, important mcat topics, Jinnah Sindh Medical University (JSMU), Jinnah Sindh Medical University (JSMU) admission, Jinnah Sindh Medical University (JSMU) admission 2018, Jinnah Sindh Medical University (JSMU) admission date, Jinnah Sindh Medical University (JSMU) admission date 2018, Jinnah Sindh Medical University (JSMU) admission dates, Jinnah Sindh Medical University (JSMU) admission dates 2018, Jinnah Sindh Medical University (JSMU) admissions, Jinnah Sindh Medical University (JSMU) admissions 2018, Jinnah Sindh Medical University (JSMU) admissions date, Jinnah Sindh Medical University (JSMU) admissions date 2018, Jinnah Sindh Medical University (JSMU) admissions dates, Jinnah Sindh Medical University (JSMU) admissions dates 2018, Jinnah Sindh Medical University (JSMU) past paper, Jinnah Sindh Medical University (JSMU) Past papers, Jinnah Sindh Medical University (JSMU) Registration, Jinnah Sindh Medical University (JSMU) Registration 2018, Jinnah Sindh Medical University (JSMU) Registration date, Jinnah Sindh Medical University (JSMU) Registration date 2018, Jinnah Sindh Medical University (JSMU) Registration dates, Jinnah Sindh Medical University (JSMU) Registration dates 2018, Jinnah Sindh Medical University (JSMU) Test, Jinnah Sindh Medical University (JSMU) Test 2018, Jinnah Sindh Medical University (JSMU) Test date, Jinnah Sindh Medical University (JSMU) Test date 2018, Jinnah Sindh Medical University (JSMU) Test dates, Jinnah Sindh Medical University (JSMU) Test dates 2018, Jinnah Sindh Medical University (JSMU) Test pattern, JSMU, JSMU admission, JSMU admission 2018, JSMU admission date, JSMU admission date 2018, JSMU admission dates, JSMU admission dates 2018, JSMU admissions, JSMU admissions 2018, JSMU admissions date, JSMU admissions date 2018, JSMU admissions dates, JSMU admissions dates 2018, JSMU past paper, JSMU Past papers, JSMU registration, JSMU Registration 2018, JSMU Registration date, JSMU Registration date 2018, JSMU Registration dates, JSMU Registration dates 2018, JSMU Test, JSMU Test 2018, JSMU Test date, JSMU Test date 2018, JSMU Test dates, JSMU Test dates 2018, JSMU Test pattern, Karachi Medical College (KMC), Karachi Medical College (KMC) admission, Karachi Medical College (KMC) admission 2018, Karachi Medical College (KMC) admission date, Karachi Medical College (KMC) admission date 2018, Karachi Medical College (KMC) admission dates, Karachi Medical College (KMC) admission dates 2018, Karachi Medical College (KMC) admissions, Karachi Medical College (KMC) admissions 2018, Karachi Medical College (KMC) admissions date, Karachi Medical College (KMC) admissions date 2018, Karachi Medical College (KMC) admissions dates, Karachi Medical College (KMC) admissions dates 2018, Karachi Medical College (KMC) past paper, Karachi Medical College (KMC) Past papers, Karachi Medical College (KMC) Registration, Karachi Medical College (KMC) Registration 2018, Karachi Medical College (KMC) Registration date, Karachi Medical College (KMC) Registration date 2018, Karachi Medical College (KMC) Registration dates, Karachi Medical College (KMC) Registration dates 2018, Karachi Medical College (KMC) Test, Karachi Medical College (KMC) Test 2018, Karachi Medical College (KMC) Test date, Karachi Medical College (KMC) Test date 2018, Karachi Medical College (KMC) Test dates, Karachi Medical College (KMC) Test dates 2018, Karachi Medical College (KMC) Test pattern, Khairpur Medical College, Khairpur Medical College admission, Khairpur Medical College admission 2018, Khairpur Medical College admission date, Khairpur Medical College admission date 2018, Khairpur Medical College admission dates, Khairpur Medical College admission dates 2018, Khairpur Medical College admissions, Khairpur Medical College admissions 2018, Khairpur Medical College admissions date, Khairpur Medical College admissions date 2018, Khairpur Medical College admissions dates, Khairpur Medical College admissions dates 2018, Khairpur Medical College past paper, Khairpur Medical College Past papers, Khairpur Medical College Registration, Khairpur Medical College Registration 2018, Khairpur Medical College Registration date, Khairpur Medical College Registration date 2018, Khairpur Medical College Registration dates, Khairpur Medical College Registration dates 2018, Khairpur Medical College Test, Khairpur Medical College Test 2018, Khairpur Medical College Test date, Khairpur Medical College Test date 2018, Khairpur Medical College Test dates, Khairpur Medical College Test dates 2018, Khairpur Medical College Test pattern, KMC, KMC admission, KMC admission 2018, KMC admission date, KMC admission date 2018, KMC admission dates, KMC admission dates 2018, KMC admissions, KMC admissions 2018, KMC admissions date, KMC admissions date 2018, KMC admissions dates, KMC admissions dates 2018, KMC past paper, KMC Past papers, KMC Registration, KMC Registration 2018, KMC Registration date, KMC Registration date 2018, KMC Registration dates, KMC Registration dates 2018, KMC Test, KMC Test 2018, KMC Test date, KMC Test date 2018, KMC Test dates, KMC Test dates 2018, KMC Test pattern, Liaquat University of Medical & health Sciences (LUMHS), Liaquat University of Medical & health Sciences (LUMHS) admission, Liaquat University of Medical & health Sciences (LUMHS) admission 2018, Liaquat University of Medical & health Sciences (LUMHS) admission date, Liaquat University of Medical & health Sciences (LUMHS) admission date 2018, Liaquat University of Medical & health Sciences (LUMHS) admission dates, Liaquat University of Medical & health Sciences (LUMHS) admission dates 2018, Liaquat University of Medical & health Sciences (LUMHS) admissions, Liaquat University of Medical & health Sciences (LUMHS) admissions 2018, Liaquat University of Medical & health Sciences (LUMHS) admissions date, Liaquat University of Medical & health Sciences (LUMHS) admissions date 2018, Liaquat University of Medical & health Sciences (LUMHS) admissions dates, Liaquat University of Medical & health Sciences (LUMHS) admissions dates 2018, Liaquat University of Medical & health Sciences (LUMHS) past paper, Liaquat University of Medical & health Sciences (LUMHS) Past papers, Liaquat University of Medical & health Sciences (LUMHS) Registration, Liaquat University of Medical & health Sciences (LUMHS) Registration 2018, Liaquat University of Medical & health Sciences (LUMHS) Registration date, Liaquat University of Medical & health Sciences (LUMHS) Registration date 2018, Liaquat University of Medical & health Sciences (LUMHS) Registration dates, Liaquat University of Medical & health Sciences (LUMHS) Registration dates 2018, Liaquat University of Medical & health Sciences (LUMHS) Test, Liaquat University of Medical & health Sciences (LUMHS) Test 2018, Liaquat University of Medical & health Sciences (LUMHS) Test date, Liaquat University of Medical & health Sciences (LUMHS) Test date 2018, Liaquat University of Medical & health Sciences (LUMHS) Test dates, Liaquat University of Medical & health Sciences (LUMHS) Test dates 2018, Liaquat University of Medical & health Sciences (LUMHS) Test pattern, LUMHS, LUMHS Admission, LUMHS admission 2018, LUMHS admission date, LUMHS admission date 2018, LUMHS admission dates, LUMHS admission dates 2018, LUMHS admissions, LUMHS admissions 2018, LUMHS admissions date, LUMHS admissions date 2018, LUMHS admissions dates, LUMHS admissions dates 2018, LUMHS past paper, LUMHS Past Papers, LUMHS registration, LUMHS Registration 2018, LUMHS registration date, LUMHS Registration date 2018, LUMHS registration dates, LUMHS Registration dates 2018, LUMHS Test, LUMHS Test 2018, LUMHS Test date, LUMHS Test date 2018, LUMHS Test dates, LUMHS Test dates 2018, LUMHS Test Pattern, MCAT, MCAT 2018, MCAT ANSWER 2018-19 SESSION, MCAT answer key, MCAT answer key 2018 MCAT, MCAT answer key Blue booklet, MCAT answer keys Green booklet, MCAT answer keys white booklet, MCAT English syllabus, MCAT entry test, MCAT Merit list, MCAT registration, MCAT registration dates, MCAT SINDH, People university of Medical and Health Sciences for Women (PUMHSW), People university of Medical and Health Sciences for Women (PUMHSW) admission, People university of Medical and Health Sciences for Women (PUMHSW) admission 2018, People university of Medical and Health Sciences for Women (PUMHSW) admission date, People university of Medical and Health Sciences for Women (PUMHSW) admission date 2018, People university of Medical and Health Sciences for Women (PUMHSW) admission dates, People university of Medical and Health Sciences for Women (PUMHSW) admission dates 2018, People university of Medical and Health Sciences for Women (PUMHSW) admissions, People university of Medical and Health Sciences for Women (PUMHSW) admissions 2018, People university of Medical and Health Sciences for Women (PUMHSW) admissions date, People university of Medical and Health Sciences for Women (PUMHSW) admissions date 2018, People university of Medical and Health Sciences for Women (PUMHSW) admissions dates, People university of Medical and Health Sciences for Women (PUMHSW) admissions dates 2018, People university of Medical and Health Sciences for Women (PUMHSW) past paper, People university of Medical and Health Sciences for Women (PUMHSW) Past papers, People university of Medical and Health Sciences for Women (PUMHSW) Registration, People university of Medical and Health Sciences for Women (PUMHSW) Registration 2018, People university of Medical and Health Sciences for Women (PUMHSW) Registration date, People university of Medical and Health Sciences for Women (PUMHSW) Registration date 2018, People university of Medical and Health Sciences for Women (PUMHSW) Registration dates, People university of Medical and Health Sciences for Women (PUMHSW) Registration dates 2018, People university of Medical and Health Sciences for Women (PUMHSW) Test, People university of Medical and Health Sciences for Women (PUMHSW) Test 2018, People university of Medical and Health Sciences for Women (PUMHSW) Test date, People university of Medical and Health Sciences for Women (PUMHSW) Test date 2018, People university of Medical and Health Sciences for Women (PUMHSW) Test dates, People university of Medical and Health Sciences for Women (PUMHSW) Test dates 2018, People university of Medical and Health Sciences for Women (PUMHSW) Test pattern, Physics MCQs for Dow University of Health Sciences, Physics MCQs for DUHS, Physics MCQs for GMC, Physics MCQs for Gombat Medical College, Physics MCQs for Jinnah Sindh Medical University, Physics MCQs for JSMU, Physics MCQs for Karachi Medical College, Physics MCQs for Khairpur Medical College, Physics MCQs for KMC, Physics MCQs for Liaquat University of Medical & health Sciences, Physics MCQs for LUMHS, Physics MCQs for People university of Medical and Health Sciences for Women, Physics MCQs for PUMHSW, Physics MCQs for Shaheed Mohtarma Benazir Bhutto Medical University, Physics MCQs for Sindh MCAT, Physics MCQs for Sindh MCAT Test, Physics MCQs for SMBBMU, PUMHSW, PUMHSW admission, PUMHSW admission 2018, PUMHSW admission date, PUMHSW admission date 2018, PUMHSW admission dates, PUMHSW admission dates 2018, PUMHSW admissions, PUMHSW admissions 2018, PUMHSW admissions date, PUMHSW admissions date 2018, PUMHSW admissions dates, PUMHSW admissions dates 2018, PUMHSW past paper, PUMHSW Past papers, PUMHSW Registration, PUMHSW Registration 2018, PUMHSW Registration date, PUMHSW Registration date 2018, PUMHSW Registration dates, PUMHSW Registration dates 2018, PUMHSW Test, PUMHSW Test 2018, PUMHSW Test date, PUMHSW Test date 2018, PUMHSW Test dates, PUMHSW Test dates 2018, PUMHSW Test pattern, REGISTRATION MCAT, REGISTRATION MCAT SINDA, Sample Biology MCQs for Dow University of Health Sciences, Sample Biology MCQs for DUHS, Sample Biology MCQs for GMC, Sample Biology MCQs for Gombat Medical College, Sample Biology MCQs for Jinnah Sindh Medical University, Sample Biology MCQs for JSMU, Sample Biology MCQs for Karachi Medical College, Sample Biology MCQs for Khairpur Medical College, Sample Biology MCQs for KMC, Sample Biology MCQs for Liaquat University of Medical & health Sciences, Sample Biology MCQs for LUMHS, Sample Biology MCQs for People university of Medical and Health Sciences for Women, Sample Biology MCQs for PUMHSW, Sample Biology MCQs for Shaheed Mohtarma Benazir Bhutto Medical University, Sample Biology MCQs for Sindh MCAT, Sample Biology MCQs for Sindh MCAT Test, Sample Biology MCQs for SMBBMU, Sample Chemistry MCQs for Dow University of Health Sciences, Sample Chemistry MCQs for DUHS, Sample Chemistry MCQs for GMC, Sample Chemistry MCQs for Gombat Medical College, Sample Chemistry MCQs for Jinnah Sindh Medical University, Sample Chemistry MCQs for JSMU, Sample Chemistry MCQs for Karachi Medical College, Sample Chemistry MCQs for Khairpur Medical College, Sample Chemistry MCQs for KMC, Sample Chemistry MCQs for Liaquat University of Medical & health Sciences, Sample Chemistry MCQs for LUMHS, Sample Chemistry MCQs for People university of Medical and Health Sciences for Women, Sample Chemistry MCQs for PUMHSW, Sample Chemistry MCQs for Shaheed Mohtarma Benazir Bhutto Medical University, Sample Chemistry MCQs for Sindh MCAT, Sample Chemistry MCQs for Sindh MCAT Test, Sample Chemistry MCQs for SMBBMU, Sample Physics MCQs for Dow University of Health Sciences, Sample Physics MCQs for DUHS, Sample Physics MCQs for GMC, Sample Physics MCQs for Gombat Medical College, Sample Physics MCQs for Jinnah Sindh Medical University, Sample Physics MCQs for JSMU, Sample Physics MCQs for Karachi Medical College, Sample Physics MCQs for Khairpur Medical College, Sample Physics MCQs for KMC, Sample Physics MCQs for Liaquat University of Medical & health Sciences, Sample Physics MCQs for LUMHS, Sample Physics MCQs for People university of Medical and Health Sciences for Women, Sample Physics MCQs for PUMHSW, Sample Physics MCQs for Shaheed Mohtarma Benazir Bhutto Medical University, Sample Physics MCQs for Sindh MCAT, Sample Physics MCQs for Sindh MCAT Test, Sample Physics MCQs for SMBBMU, Shaheed Mohtarma Benazir Bhutto Medical University (SMBBMU), Shaheed Mohtarma Benazir Bhutto Medical University (SMBBMU) admission, Shaheed Mohtarma Benazir Bhutto Medical University (SMBBMU) admission 2018, Shaheed Mohtarma Benazir Bhutto Medical University (SMBBMU) admission date, Shaheed Mohtarma Benazir Bhutto Medical University (SMBBMU) admission date 2018, Shaheed Mohtarma Benazir Bhutto Medical University (SMBBMU) admission dates, Shaheed Mohtarma Benazir Bhutto Medical University (SMBBMU) admission dates 2018, Shaheed Mohtarma Benazir Bhutto Medical University (SMBBMU) admissions, Shaheed Mohtarma Benazir Bhutto Medical University (SMBBMU) admissions 2018, Shaheed Mohtarma Benazir Bhutto Medical University (SMBBMU) admissions date, Shaheed Mohtarma Benazir Bhutto Medical University (SMBBMU) admissions date 2018, Shaheed Mohtarma Benazir Bhutto Medical University (SMBBMU) admissions dates, Shaheed Mohtarma Benazir Bhutto Medical University (SMBBMU) admissions dates 2018, Shaheed Mohtarma Benazir Bhutto Medical University (SMBBMU) Larkana, Shaheed Mohtarma Benazir Bhutto Medical University (SMBBMU) past paper, Shaheed Mohtarma Benazir Bhutto Medical University (SMBBMU) Past papers, Shaheed Mohtarma Benazir Bhutto Medical University (SMBBMU) Registration, Shaheed Mohtarma Benazir Bhutto Medical University (SMBBMU) Registration 2018, Shaheed Mohtarma Benazir Bhutto Medical University (SMBBMU) Registration date, Shaheed Mohtarma Benazir Bhutto Medical University (SMBBMU) Registration date 2018, Shaheed Mohtarma Benazir Bhutto Medical University (SMBBMU) Registration dates, Shaheed Mohtarma Benazir Bhutto Medical University (SMBBMU) Registration dates 2018, Shaheed Mohtarma Benazir Bhutto Medical University (SMBBMU) Test, Shaheed Mohtarma Benazir Bhutto Medical University (SMBBMU) Test 2018, Shaheed Mohtarma Benazir Bhutto Medical University (SMBBMU) Test date, Shaheed Mohtarma Benazir Bhutto Medical University (SMBBMU) Test date 2018, Shaheed Mohtarma Benazir Bhutto Medical University (SMBBMU) Test dates, Shaheed Mohtarma Benazir Bhutto Medical University (SMBBMU) Test dates 2018, Shaheed Mohtarma Benazir Bhutto Medical University (SMBBMU) Test pattern, Sindh MCAT 2018, Sindh MCAT Admission, Sindh MCAT Admission 2018, Sindh MCAT Admission date, Sindh MCAT Admission date 2018, Sindh MCAT Admission dates, Sindh MCAT Admission dates 2018, Sindh MCAT Admissions, Sindh MCAT Admissions 2018, Sindh MCAT Admissions date, Sindh MCAT Admissions date 2018, Sindh MCAT Admissions dates, Sindh MCAT Admissions dates 2018, Sindh MCAT BDS Admission, Sindh MCAT BDS Admission 2018, Sindh MCAT BDS Admission date, Sindh MCAT BDS Admission date 2018, Sindh MCAT BDS Admission dates, Sindh MCAT BDS Admission dates 2018, Sindh MCAT BDS Admissions, Sindh MCAT BDS Admissions 2018, Sindh MCAT BDS Admissions date, Sindh MCAT BDS Admissions date 2018, Sindh MCAT BDS Admissions dates, Sindh MCAT BDS Admissions dates 2018, Sindh MCAT BDS Registration, Sindh MCAT BDS Registration 2018, Sindh MCAT BDS Registration date, Sindh MCAT BDS Registration date 2018, Sindh MCAT BDS Registration dates, Sindh MCAT BDS Registration dates 2018, Sindh MCAT BDS Test, Sindh MCAT BDS Test 2018, Sindh MCAT BDS Test date, Sindh MCAT BDS Test date 2018, Sindh MCAT BDS Test dates, Sindh MCAT BDS Test dates 2018, Sindh MCAT date, Sindh MCAT date 2018, Sindh MCAT dates, Sindh MCAT dates 2018, Sindh MCAT Entrance Test, Sindh MCAT MBBS Admission, Sindh MCAT MBBS Admission 2018, Sindh MCAT MBBS Admission date, Sindh MCAT MBBS Admission date 2018, Sindh MCAT MBBS Admission dates, Sindh MCAT MBBS Admission dates 2018, Sindh MCAT MBBS Admissions, Sindh MCAT MBBS Admissions 2018, Sindh MCAT MBBS Admissions date, Sindh MCAT MBBS Admissions date 2018, Sindh MCAT MBBS Admissions dates, Sindh MCAT MBBS Admissions dates 2018, Sindh MCAT MBBS Registration, Sindh MCAT MBBS Registration 2018, Sindh MCAT MBBS Registration date, Sindh MCAT MBBS Registration date 2018, Sindh MCAT MBBS Registration dates, Sindh MCAT MBBS Registration dates 2018, Sindh MCAT MBBS Test, Sindh MCAT MBBS Test 2018, Sindh MCAT MBBS Test date, Sindh MCAT MBBS Test date 2018, Sindh MCAT MBBS Test dates, Sindh MCAT MBBS Test dates 2018, Sindh MCAT Online Preparation, Sindh MCAT Past Papers, Sindh MCAT Pattern Format, Sindh MCAT registration, Sindh MCAT registration 2018, Sindh MCAT registration date, Sindh MCAT registration date 2018, Sindh MCAT registration dates, Sindh MCAT registration dates 2018, Sindh MCAT Test, Sindh MCAT Test 2018, Sindh MCAT Test date, Sindh MCAT Test date 2018, Sindh MCAT Test dates, Sindh MCAT Test dates 2018, Sindh Medical College, Sindh Medical College test, Sindh Medical College test admission, Sindh Medical College test admission date, Sindh Medical College test admission date 2018, Sindh Medical College test admission dates, Sindh Medical College test admission dates 2018, Sindh Medical College test date, Sindh Medical College test date 2018, Sindh Medical College test dates, Sindh Medical College test dates 2018, Sindh Medical College test registration, Sindh Medical College test registration 2018, Sindh Medical College test registration date, Sindh Medical College test registration date 2018, Sindh Medical College test registration dates, Sindh Medical College test registration dates 2018, Sindh Medical Colleges, Sindh Medical Colleges test, Sindh Medical Colleges test admission, Sindh Medical Colleges test admission date, Sindh Medical Colleges test admission date 2018, Sindh Medical Colleges test admission dates, Sindh Medical Colleges test admission dates 2018, Sindh Medical Colleges test date, Sindh Medical Colleges test date 2018, Sindh Medical Colleges test dates, Sindh Medical Colleges test dates 2018, Sindh Medical Colleges test registration, Sindh Medical Colleges test registration 2018, Sindh Medical Colleges test registration date, Sindh Medical Colleges test registration date 2018, Sindh Medical Colleges test registration dates, Sindh Medical Colleges test registration dates 2018, Sindh Medical MCAT, SMBBMU, SMBBMU admission, SMBBMU admission 2018, SMBBMU admission date, SMBBMU admission date 2018, SMBBMU admission dates, SMBBMU admission dates 2018, SMBBMU admissions, SMBBMU admissions 2018, SMBBMU admissions date, SMBBMU admissions date 2018, SMBBMU admissions dates, SMBBMU admissions dates 2018, SMBBMU past paper, SMBBMU Past papers, SMBBMU registration, SMBBMU Registration 2018, SMBBMU registration date, SMBBMU Registration date 2018, SMBBMU Registration dates, SMBBMU Registration dates 2018, SMBBMU Test, SMBBMU Test 2018, SMBBMU Test date, SMBBMU Test date 2018, SMBBMU Test dates, SMBBMU Test dates 2018, SMBBMU Test pattern, Solved MCAT MCQs on September 28, 2018 by Pakprep.com Admin.